Thank you for your interest in one of Sonia S Auto Sales's online offerings. 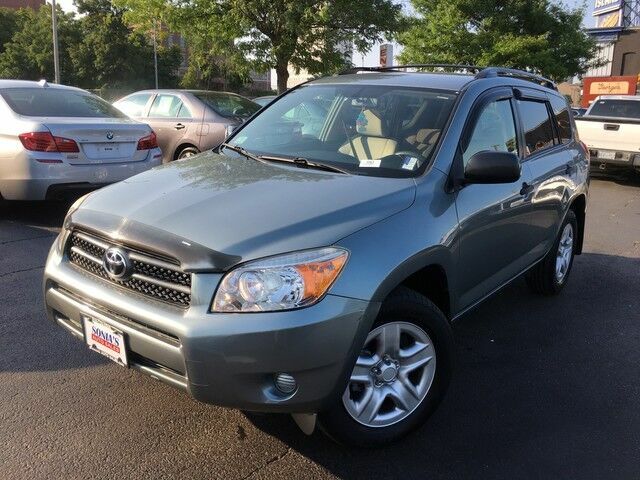 Please continue for more information regarding this 2007 Toyota RAV4 with 109,000mi. The Toyota RAV4 offers a fair amount of utility thanks to its advanced features and unique styling. It's also quite sporty, and injects an ample amount of handling chutzpah into the ridin'-high body of a family-friendly SUV. This 4WD-equipped vehicle handles any condition on- or off-road with the sure footedness of a mountain goat. With unequaled traction and stability, you'll drive with confidence in any weather with this Everglade Metallic 2007 4WD Toyota RAV4 . The RAV4 has been lightly driven and there is little to no wear and tear on this vehicle. The care taken on this gently used vehicle is reflective of the 109,000mi put on this Toyota. The brand new set of tires means that you will be able to drive off the lot without hesitation. You can drive off in the Toyota RAV4 feeling safe and confident with these new tires. This gently driven vehicle has been well-kept and still has the showroom shine. More information about the 2007 Toyota RAV4: The 2007 Toyota RAV4 has a very roomy interior for a compact SUV and is one of the few models in its class to offer a versatile third row of seating. The V6 available on the RAV4 is the most powerful engine in its market segment, and it makes the RAV4 quicker than some performance-oriented premium SUVs. Both engines boast impressive fuel economy. Interesting features of this model are Roomy interior, available third-row seating, acceleration with V6, standard safety features.